is a special ministry of Pastor Chris, armed with the mandate of networking every home around the World with the divine presence of God through TV Transmission.. The LoveWorld Television Ministry has grown from airing our flagship programs on only one TV Station during the mid-nineties to broadcasting our programs in all the continents of the world, and currently, we are on over 480 TV Stations reaching over 180 nations worldwide; amongst these are stations with coast to coast coverage. 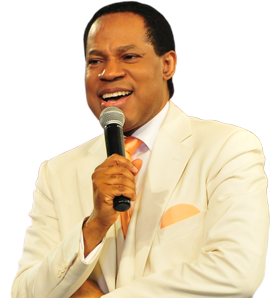 The LoveWorld Television Ministry transmits the Monthly Edition of Pastor Chris Live to a Global audience via TV Networks in several nations of the World and on our Web, Mobile and IPTV. Through the daily transmission of our Flagship TV programs - Atmosphere for Miracles & Pastor Chris Teaching, millions have been saved, healed and delivered into their inheritance in Christ as they received God's Word and the ministrations of the Spirit via TV right in their homes and offices around the world. These flagship programs of the LoveWorld Television Ministry bring God's vision to pass all around the world and have become the most-watched television programs on all television network stations that we feature on. The Atmosphere for Miracles with Pastor Chris chronicles healings and miracles from our crusades and services taking God's divine presence right into the homes of viewers while Pastor Chris Teachings unravels mysteries and deep truths from God's word with a freshness that makes every viewer love the word of God. In LTM, we aim at increasing our ever widening network of stations; this is our way of fulfilling the God-given mandate to take the Gospel to every nation, city, town and village. The LoveWorld Television Ministry also manages a 24-Hour Call Center which is responsible for receiving and responding to the feedback on our programs around the world. Many have received salvation and healing right where they were, just by contacting us through phone calls, text messages and emails. We are so grateful to our partners who have worked with us these years to bring God's Word and His healing power into the homes of millions around the world; through their partnership we are lighting up the nations with the glorious gospel of our Lord Jesus Christ. The Partners of the LoveWorld Television Ministry have consistently contributed to the growth we have experienced over the years. We are certain that through your Partnership with us, we will yet do more around the World. I had a severe headache on the left side of my head and when I switched on my television and stumbled into a new channel(Loveworld Euro), while i was still wondering the channel is all about, I heard Pastor Chris praying and he said there was someone with an ache on the left side of the head. He said "be healed" and immediately the pain miraculously went away. Thank you Jesus for healing me.